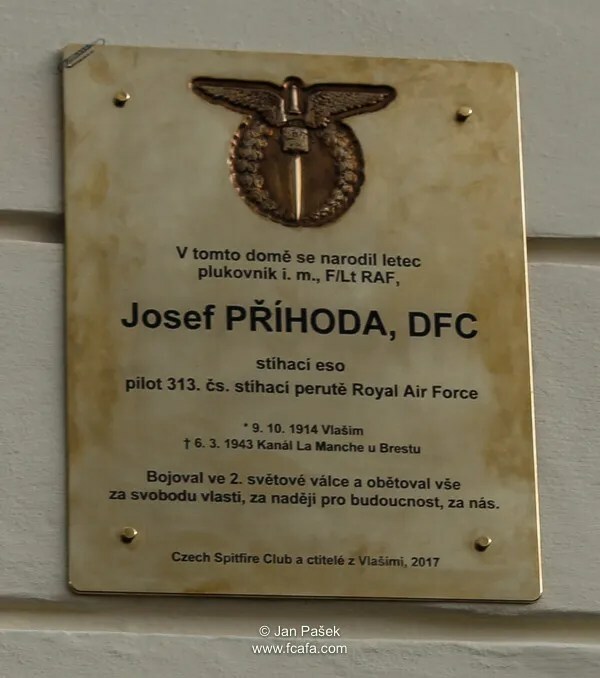 Josef Příhoda DFC was remembered in his hometown of Vlašim on 9 May 2017, when a memorial plaque was unveiled at his home in Žižkovo náměstí. 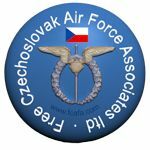 Attending the ceremony were members of Vlašim Municiple Council, Stanislav Příhoda a relative of Josef Příhoda, joint event initiators – Sviták Daniel and the Czech Spitfire Club – and well wishers. Guard of Honour was provided by the Vlašim Scout group and members of Vlašim’s Sokol group. Josef Příhoda DFC was a pre-war Czechoslovak Air Force pilot, who also served in l’Arme d’Air in France and then the RAF. He flew Hurricane’s in 1 Sqn in the closing stages of the Battle of Britain and is commemorated on the Memorial Wall at the National Battle of Britain Memorial at Capel-le-Ferne, Kent. and also on the London Battle of Britain Memorial. 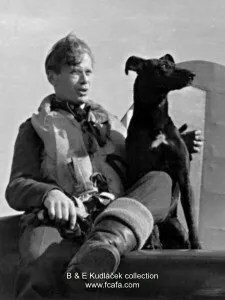 He was latery posted to 111 Sqn and was awarded his DFC on 29 September 1941. On 28 October 1941, he was commissoned at the rank of P/O and on 14 April 1942 posted to 313 (Czechoslovak) Sqn. He was killed on 6 March 1943 near the Island of Vierge de l’Ille, France. That day 313 Sqn were escorting a formation of Liberator bombers on a raid to Brest, France. He was flying Spitfire Mk Vc BP862. 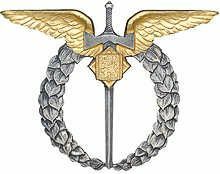 At 14:15, the formation was attacked by Luftwaffe Fw190’s from III /JG2. During the aerial combat, he was shot down at 14:20, his Spitfire crashed into the Atlantic, off the Island of Vierge de l’Ille. 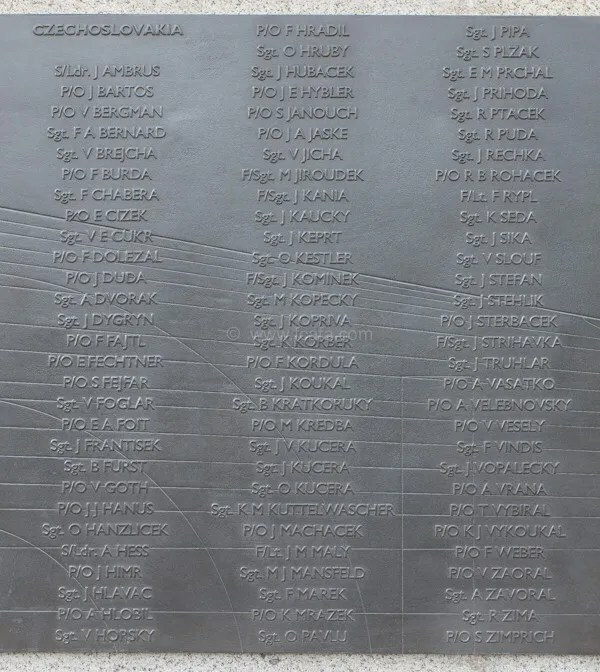 His body was never recovered and is commemorated on panel 129 at Runneymede, he was 28 years old. This entry was posted in 313 Sqd, Ceremony, Not Forgotton. Bookmark the permalink. Nepřítel státu – zpověď pilota!